Often overuse, neglect or even poor installation can be a recipe for injuries and litigation. 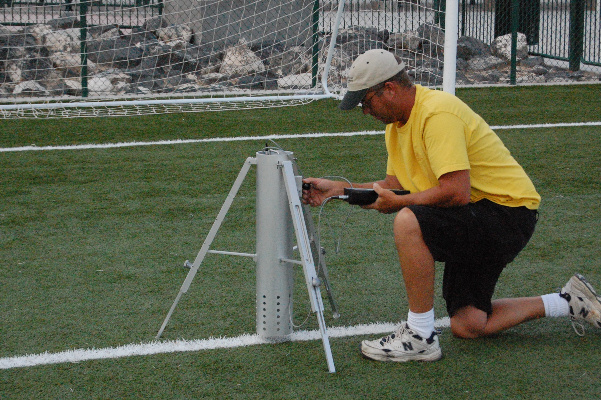 PlaySafe staff are trained in the use of the Triax A Missile, which tests both synthetic and grass playing fields to determine whether they meet the ASTM Turf Playing Systems standards of care. Whether your field is for baseball, football, or multiuse, indoors or outside, real or synthetic, let PlaySafe test it to help you determine whether it meets ASTM standards, is in need of care, or just needs to be replaced. We can help you with Gmax testing, assessing hazards, and potential risks to keep your guests as safe as possible. Our team of staff members will visit your field and conduct real world testing.